Convenient, take along kit contains all the essentials to care for blisters, calluses, abrasions, and pressure or friction burns. Kit includes form cut, latex-free pressure pads, easy-to-apply adhesive mesh, and More Skin pads to help promote healing, relieve pain and soothe hot spots. 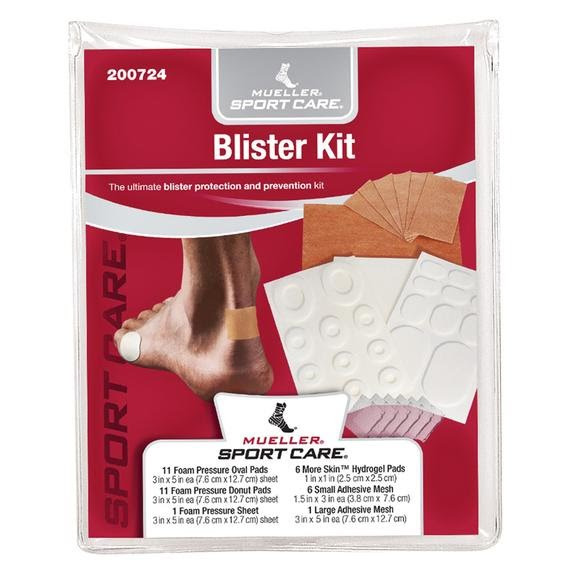 Protects and helps prevent blisters; soothes abrasions, cuts, and scratches; helps ease minor burns, including sunburn. Hydrogel wound dressing provides moisture for healing, absorbs wound secretions, and helps protect against contamination. Sheet can be cut to desired shape and size. More Skin won&apos;t stick to injured area. Non-medicated and non-sterile.